Ruth and I are running the Kerouac 5K in Lowell tomorrow. 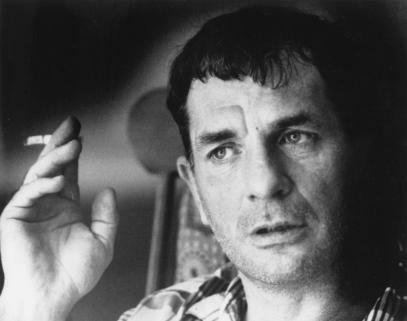 The race is named after Beat Generation author Jack Kerouac, who was born in the city. 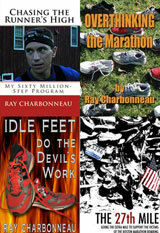 Jack wasn’t a runner, but he was a drinker, and the Kerouac 5K is the fifth of the six Pub Series races. Coincidentally it’s also the race Ruth and I ran in the day after our wedding. Since I was going to be running in the Kerouac anyhow, we decided to extend this year’s anniversary celebration and make a weekend of it. Today, we’re going to a play at the Merrimack Repertory Theater followed by dinner and a night in downtown Lowell’s finest (only) hotel, where we stayed on our wedding night. Tomorrow morning, we’ll have a leisurely breakfast at the hotel before heading over to the Brewery Exchange for the race. The Kerouac 5K is also the second to last race in the USATF-NE Grand Prix series. The Cape Cod Marathon will be the final race. After five of the seven events, the SRR 50+ men are tied for third place with Winners Circle, only one point behind Greater Lowell. If we run well tomorrow and at Cape Cod, we’ve got a good chance of moving into second. We’d be there now, except we didn’t have enough runners to score any team points at the Jones 10 Miler back in February. First place is probably out of reach since we’re 16 points behind the guys from Whirlaway. As long as they show up with a complete team for the last two events, they’re going to win. The team doesn’t need me to run fast at the Kerouac. We’ve got nine 50+ men showing up and only the top five runners score for the team. 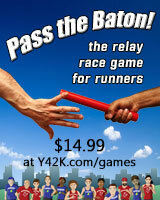 Even if I ran as fast as I could, there will still be more than five SRR guys who are faster than I am. So I’m keeping my focus on Cape Cod and not going all out in the 5K. I’ll treat the Kerouac like a tempo run instead. 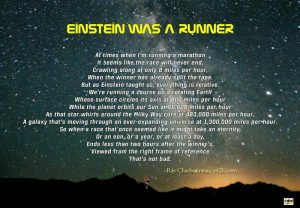 My goal is to run at a 7:30 pace or maybe a little faster. Besides, I’m feeling a little draggy, like I might be coming down with a cold. If so, better now than in a couple weeks, so I’ll have time to recover before the marathon.